A range of music, raps, chants, rhythmic activities, and even music lesson and music class curriculum suggestions will be offered here. 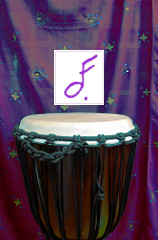 All will be related to keeping wisdom attitudes in mind through music and rhythm. In particular see video Florasabi video materials at the Florasabi video page, and audio supporing Florasabi resources at the Florasabi audio page. 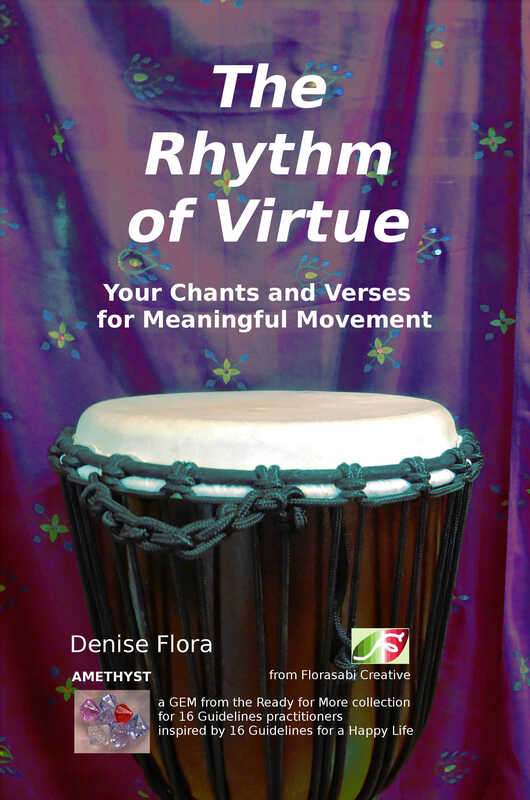 Check out drumming rhythms and so much more from the new book The Rhythm of Virtue from Florasabi Creative on Lulu. Links to particular media mentioned in the book, by page number, can be found in the Rhythm of Virtue Current Media Links by clicking on the note/drum image below. Sound files are mostly at the collection behind the playlist below. Videos are mostly at the video set below. An older format, but still relevant, Ten of the 15 tracks on the album Blue can be heard at www.myspace.com/deniseflora. Listen especially to the track "This Life". 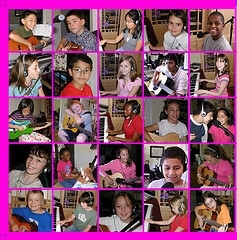 This album was produced by Denise and her students at Let's Play Music in Apex, North Carolina. 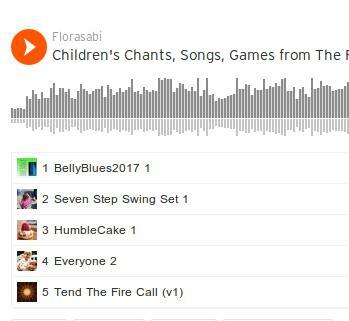 Positive chants for children from Ready Set Happy based on the 16 Guidelines. (Sometimes you can also access Text and Audio of the chants from the 16 guidelines site, but links tend to move around.) You can see text within the chapters of Ready Set Happy itself, as well as the handclap Video from Flickr. 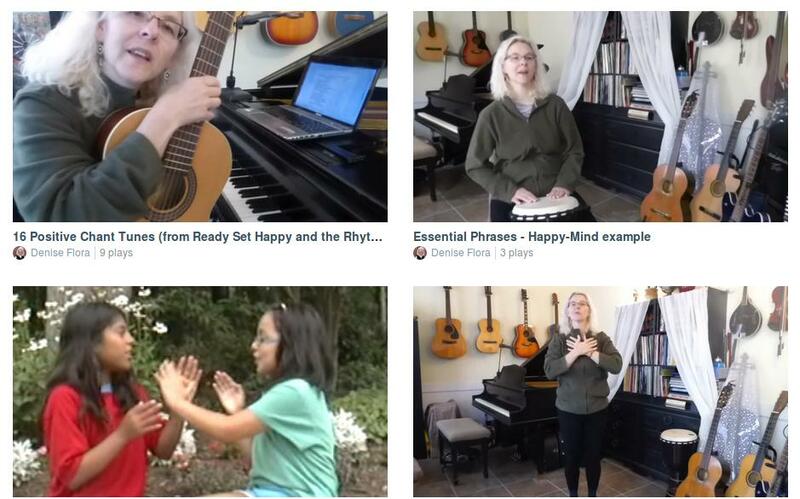 A new instructional video for playing these chants is now also available. 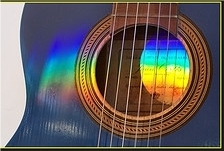 Check out the music video channel at Karmatube.org for music with positive messages and impacts. Try an exercise yourself with music, a very quick one...find a teenager. Ask them to tell you three songs they like that have positive messages. They may tell you there aren't any, but there are. Persevere. Listen to one whole song (about three minutes) with them, then talk about the song. Cool. 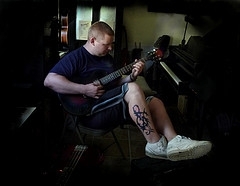 Let's Play Music is a community of about 30 families gathering for music lessons and musical events, modeling music as an interactive community experience. No competitions, no recitals, just a potluck party one or twice per year to enjoy the music and each other. 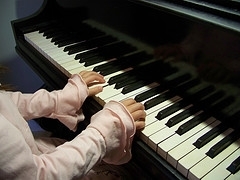 Mostly piano and guitar students, children, teens, adults, and seniors learn 1) playing music for personal relaxation, 2) how to communicate to each other about music for meaningful interaction without video screens, and 3) the joy of playing. 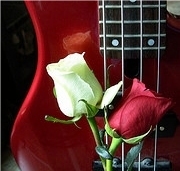 Musical cross-training, multi-instrumentalism, and gratitude are encouraged. for more information, write denise@florasabi.org.